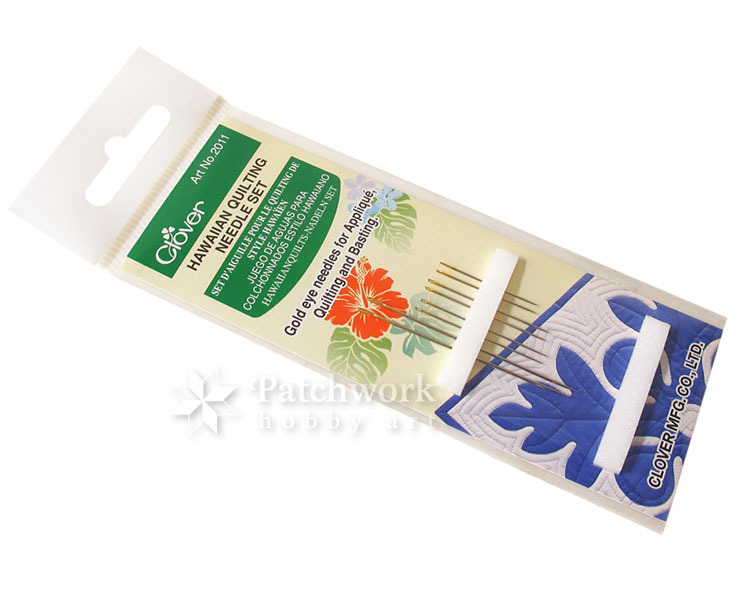 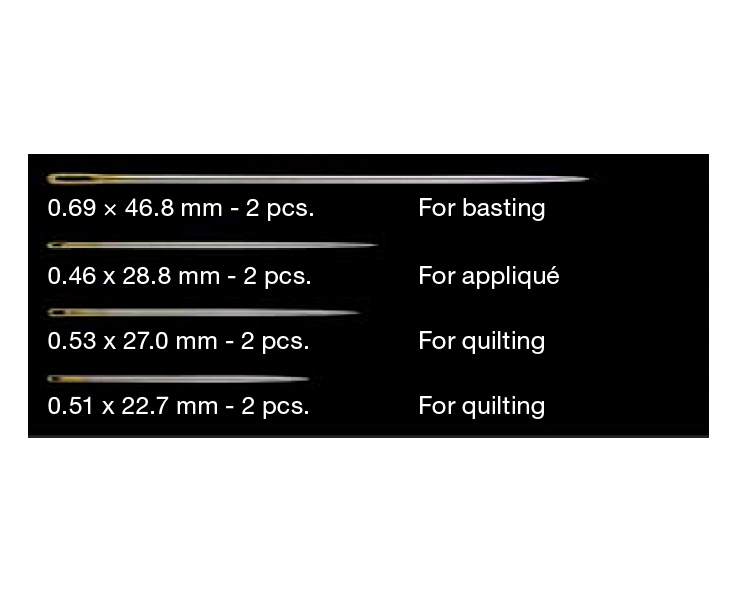 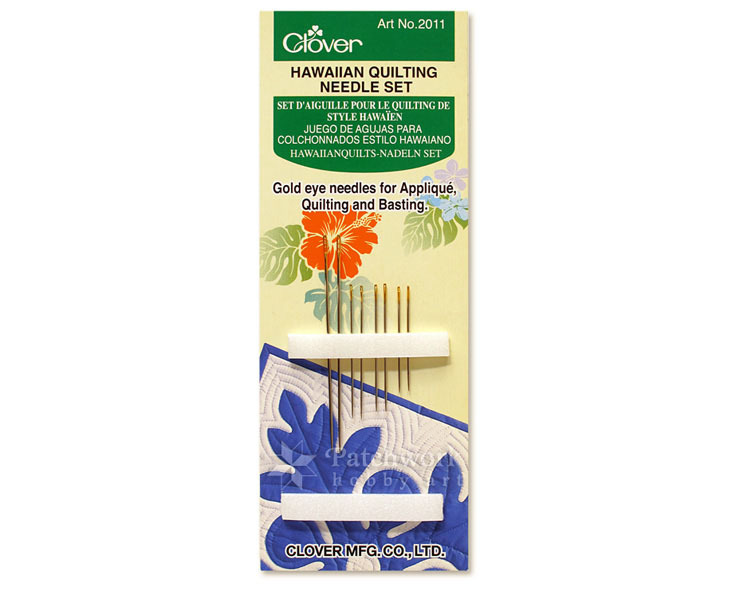 A set of 4 kinds of needles commonly used for Hawaiian quilting. 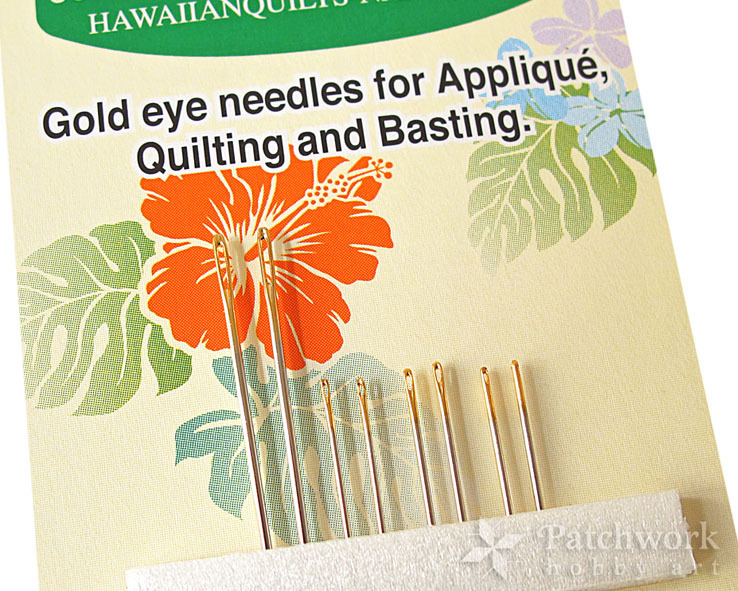 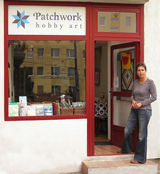 Gold eye needle for Apliqué, Quilting and Basting. 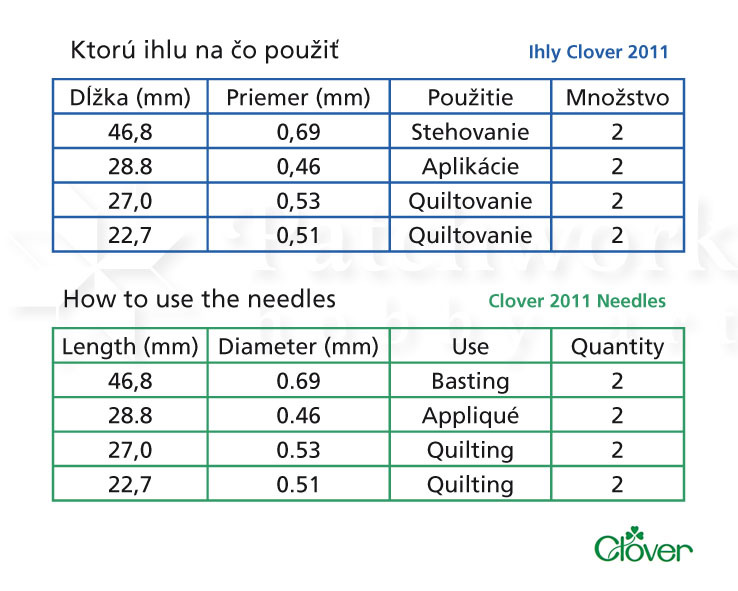 High quality from Clover Japan.